Well, we all survived another Christmas! I'm sure that you're all just as happy as I am to have it behind us. It's a lot of fun, but it sure is a lot of work as well. I'm ready to move forward with the new year. I made this card as I prepare for my oldest daughter's birthday in early January, and Really Reasonable Ribbon helped me make it special. I started with a patterned paper base and sewed on a sheet of vellum. I added a die-cut frame in gold, as well as a gold letter A (for my daughter's name). Then.....the good stuff! I made a big bow using several of Really Reasonable Ribbon's GORGEOUS trims including the Forsythia (deep yellow) Seam Binding, Dusty Olive Seam Binding, Diva Lemonwood Solid Baker's Twine and Deep Pink Solid Baker's Twine. I also added some of Really Reasonable Ribbon's beautiful Open Roses and 30 mm Green Leaf. The Open Roses I added are the lovely Two-Tone Yellow Roses. They come in so many gorgeous colors and styles that you're sure to find the perfect shade Mulberry Flowers to adorn all your cards and projects. 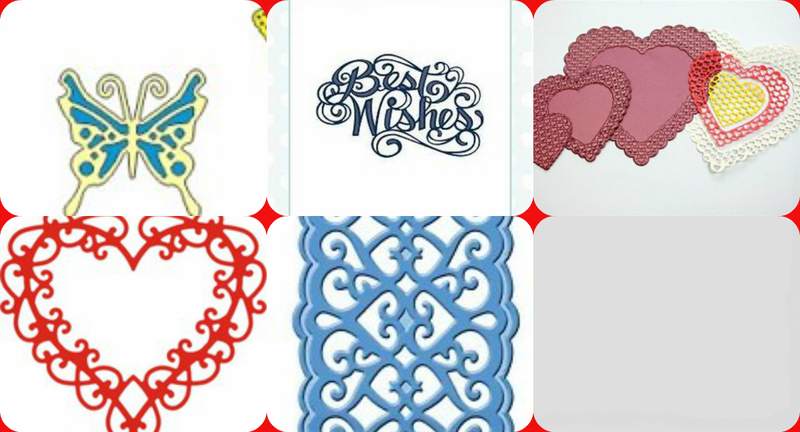 We encourage you to check out ALL the fabulous items carried at Really Reasonable Ribbon. We also have a super FUN challenge starting on January 8th, and we really hope you will join us. We want to see what wonderful treats you got for Christmas. See you then! Welcome back! 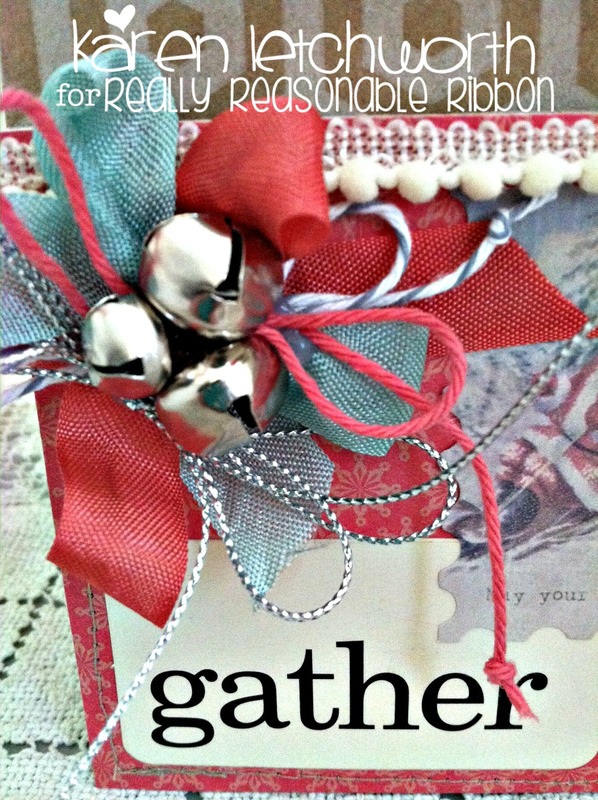 Hi, I am Nancy and I want to show you this absolutely gorgeous red ribbons from Really Reasonable Ribbon and share how I made this card with you. This card is for a couple who is renewing their wedding vows. I like to personalize my cards as much as possible so I was able to use their names in the middle of this beautiful heart. The gorgeous red ribbon going down the card is the Stitched Sheer/Satin Ombre Red ribbon. This ribbon comes in two other colors, royal blue and light blue. Lately, I have been using this ribbon often on Christmas cards and plan to use it with the Valentine cards along with the Mid Ruffle Satin ribbons shown below. This gorgeous ribbon is sheer on one half and double-faced satin on the other half with beautiful stitching running down the center. 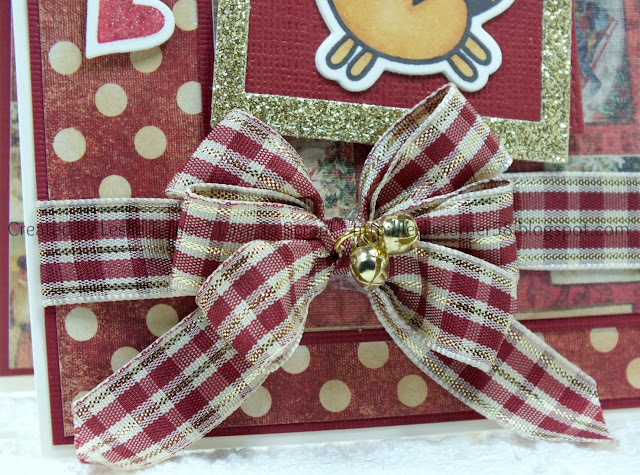 You can see this on the photo above of the two sides of this ribbon. The Mid Ruffle Satin Red also comes in black, green, pink, mauve and white. I just wrapped this ribbon four times on my handy Zutter Bow-It-All V2 and it came out so nice and fluffy. I always use Scor-Tape from Really Reasonable Ribbon behind my bows and ribbons. If I want to move parts of the ribbon on the bow, I can do it with the Scor Tape. 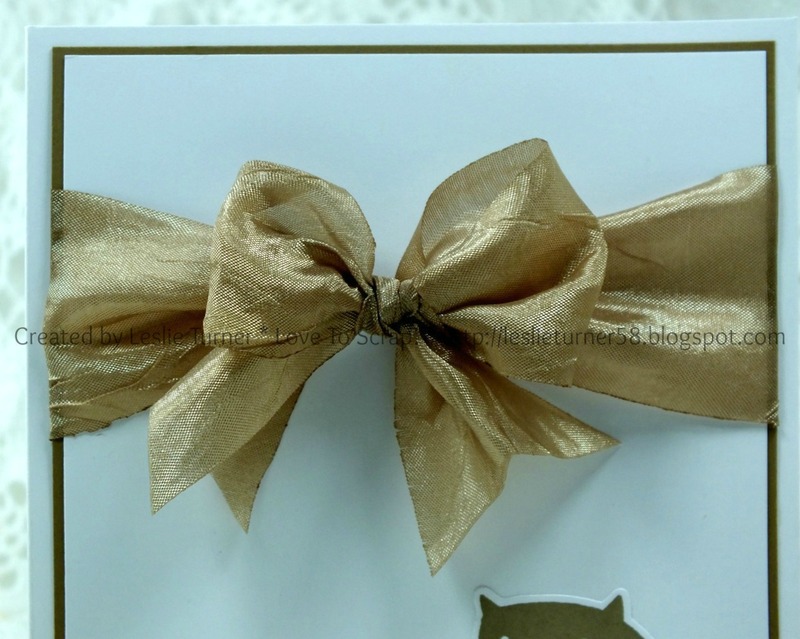 The Scor-Tape comes in several sizes and I used the 1 1/2 " behind this bow. I added the Wild Orchid Craft flowers from Really Reasonable Ribbon and added a charm that I got at a thrift store in town. Really Reasonable Ribbon 5-Day After Christmas SALE! We're rolling in with a BIG 5-Day After Christmas SALE here at Really Reasonable Ribbon. Now through midnight Eastern Time on Wednesday, 12/30/15 we have a terrific SALE going on. The more you buy, the more you save!! Please use the applicable code found below in the promotional code area on the first page at checkout. The codes are good now through midnight Eastern time on Wednesday 12/30/15. Order subtotals from $10.01 to $39.99 SAVE 10% using code PRESENT10. Order subtotals $40 and up SAVE 15% using code PRESENT15. 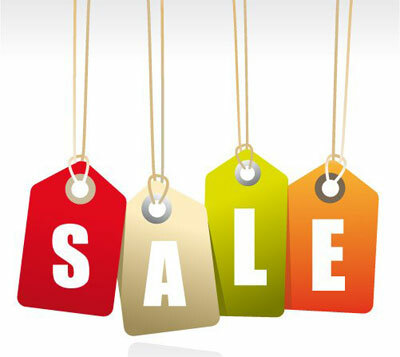 YOU MUST USE ONE OF THE SALE CODES ABOVE TO RECEIVE THE PROMOTIONAL DISCOUNT ON YOUR ORDER. The sale code is good on everything including SALE items. Keep visiting the Really Reasonable Ribbon blog to continue to see the wonderful projects and cards that Really Reasonable Ribbon Designers have for you during the holidays and stay with us for our next exciting challenge on January 8th. Can't wait to see what you have created! I hope you've enjoyed today's project! Be sure to check out the vast array of ribbon and crafty goodies and tools at Really Reasonable Ribbon! I can't brag enough about the amazing selection of products, awesome prices, fast shipping and great customer service! Today I want to share with you a fun gift I made for my husband. He loves wooden pallets and the neat things people make with them. One of his favorite things to do is look at all of the clever ideas on Pinterest for projects made with reclaimed pallets. While most people don't tend to think of ribbons and flowers as masculine, plaids like the blue/gold I used here, and burlap string are perfect for any project you make for a guy. Neutral flowers also go well. Most guys like flowers as long as you don't go overboard. A few can add a nice touch. This 7/8" Black Satin ribbon is as stylish as an Armani tux! 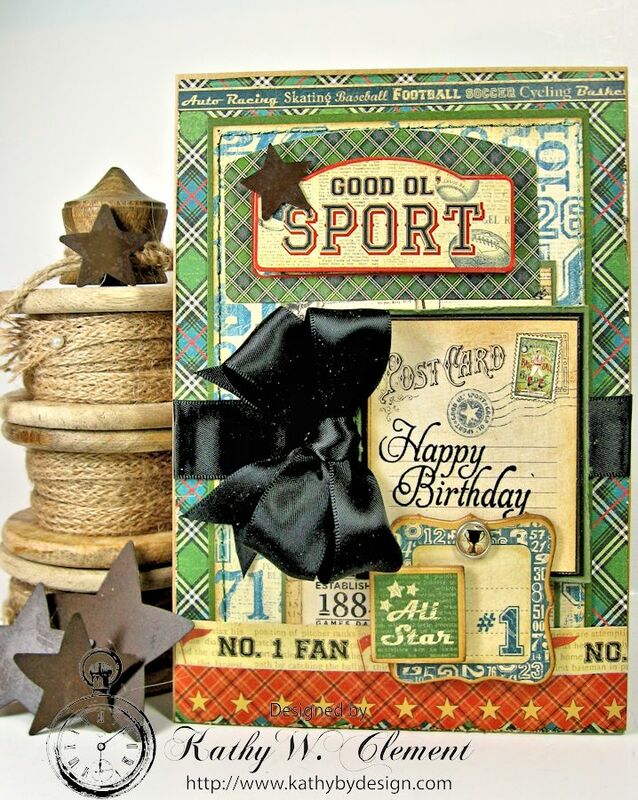 It adds a soft sheen and elegant feel to this Good Old Sport masculine birthday card. And I just love the way a touch of black anchors a design and pulls all those different patterned layers together. This ribbon is soft and supple and comes in a rainbow of colors, and varied widths. It's a great option for a bow like this one, as it holds its shape really well. I tied this elegant double loop bow with the help of my Zutter Bow-it-All. If you would like to watch this bow being tied by Bonnie, our fearless leader at RRR, here's a quick video that I think you will find very helpful. Just click on the play button to view. I know you all like to see how I finish the insides of my cards, so here ya go! 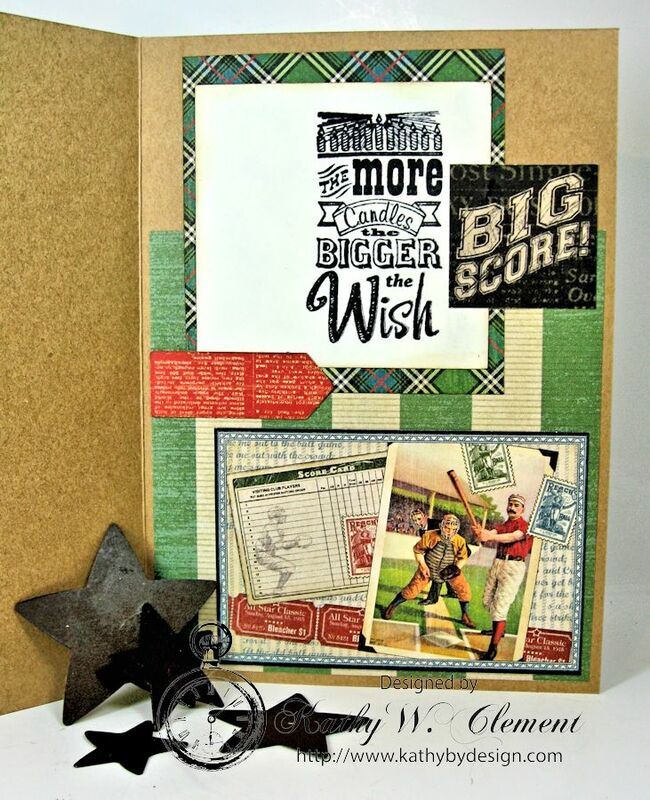 A little stamping, more layered papers and a fun baseball theme for my baseball loving son! If you haven't checked out RRR's You Tube Channel, you really should! Bonnie has a bunch of fantastic video tutorials to address your bow tying questions. Why not grab a cuppa and spend a little time upping your ribbon tying skills? You'll be glad you did! Thanks for stopping by! Hi there crafty peeps! I am back for one last Christmas card share before the big day arrives. Sometimes with a card you don't need a big fancy bow but you can still use some pretty ribbon as an accent. 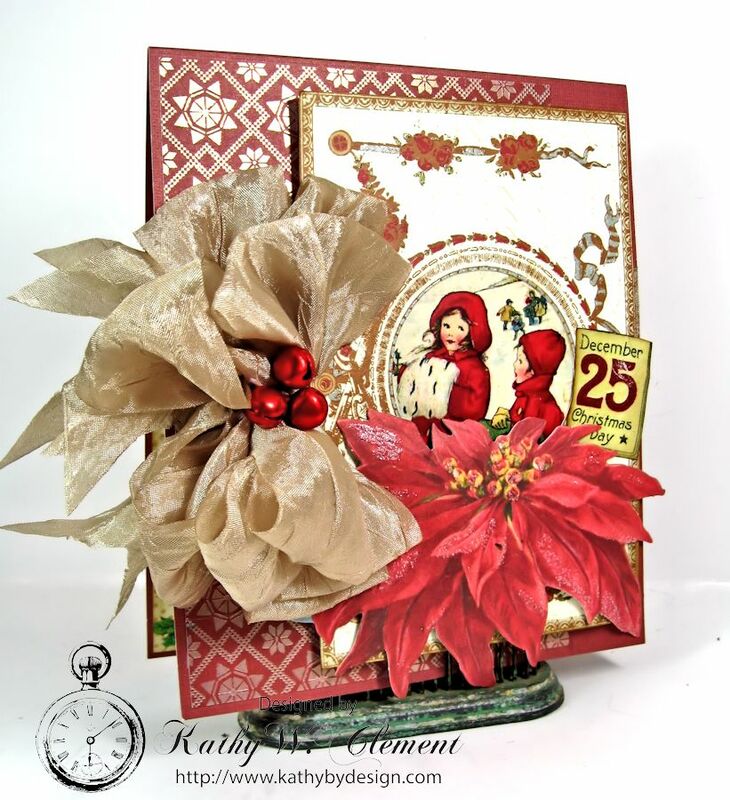 I used several patterned papers from a hoarded October Afternoon paper collection to create my card base. I then created a fun belly band as an accent using Green Glitz Ribbon. I placed my retro Santa image on top. I then fussy cut out the sentiment and popped it up with foam dots on the card. 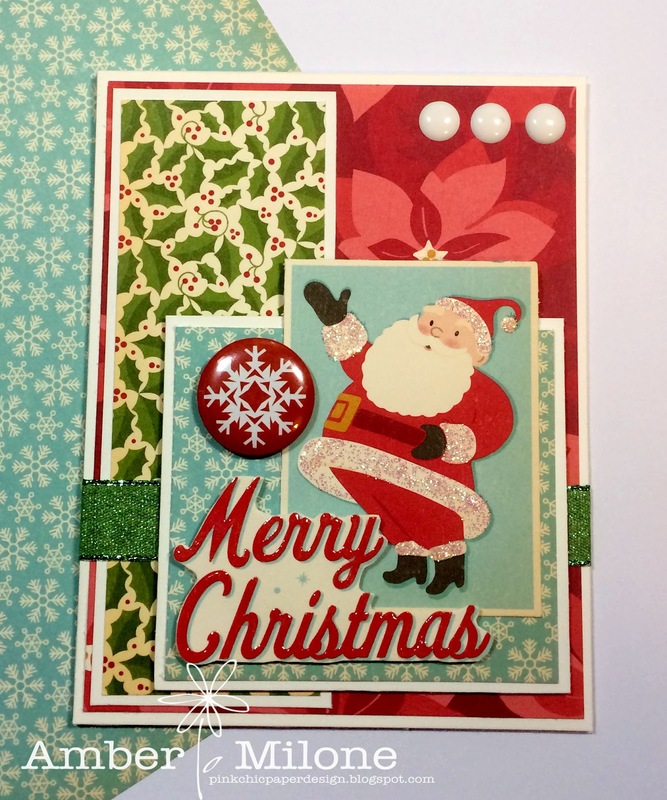 I added a snowflake flair button next to Santa and then three white enamel dots at the top. As a final touch I added Stickles to Santa's fur trim and then traced the letters with Glossy Accents. Hi friends. 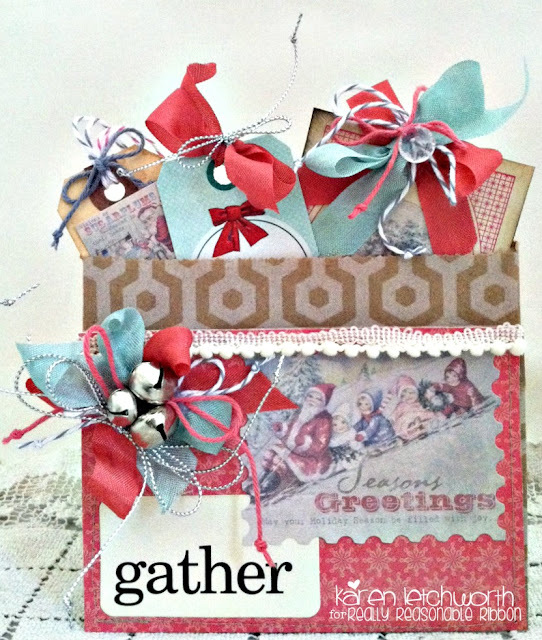 Today I have a clean and simple card to share with a fabby bow made from my favorites from Really Reasonable Ribbon. 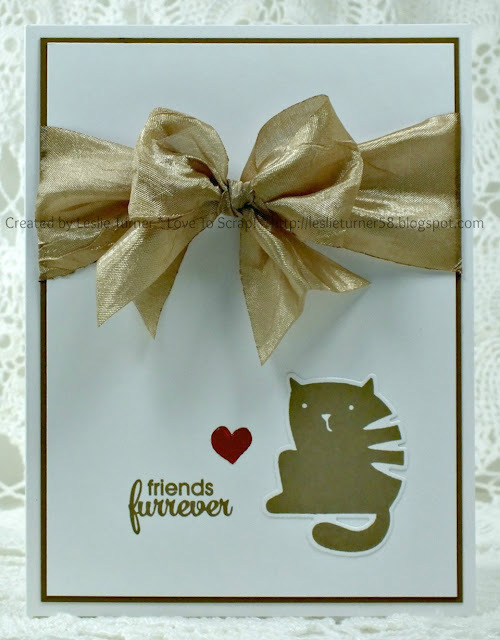 Nothing like a 'show stopper' bow to add that extra zing to a clean and simple card. My bi-color double-loop bow is made with Red Delicate Stitched Satin Ribbon and Emerald Green Checkerboard Satin Ribbon from Really Reasonable Ribbon. It was created on my Bow-it-All V2.0. If you don't have this tool yet, be sure to put it on your Christmas list. You won't be sorry! To view a video tutorial on how I created this wonderful bow, please click HERE. It's almost Christmas!!!!! Hey Peeps Ginny here and I'm getting pretty excited about the holiday!!! 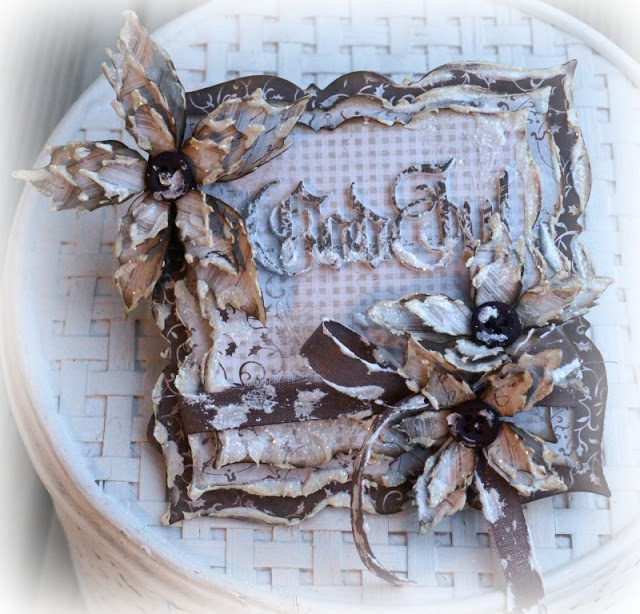 I'm sharing a card today that is chock full of country style. Really Reasonable Ribbon Supplies~Swiss Dots on Red Satin, Gray Plaid, White Magnolias, Red Cottage Roses, White Sweetheart Blossoms. Hello again, all you ribbon-loving crafters! 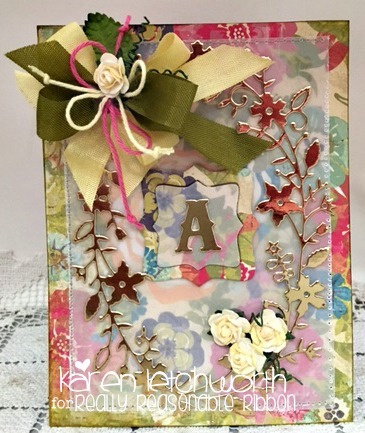 It's Karen Letchworth sharing today with another sweet little pocket card that I created using lots of great Really Reasonable Ribbon. I started with one of their many sweet Decorative Bags. 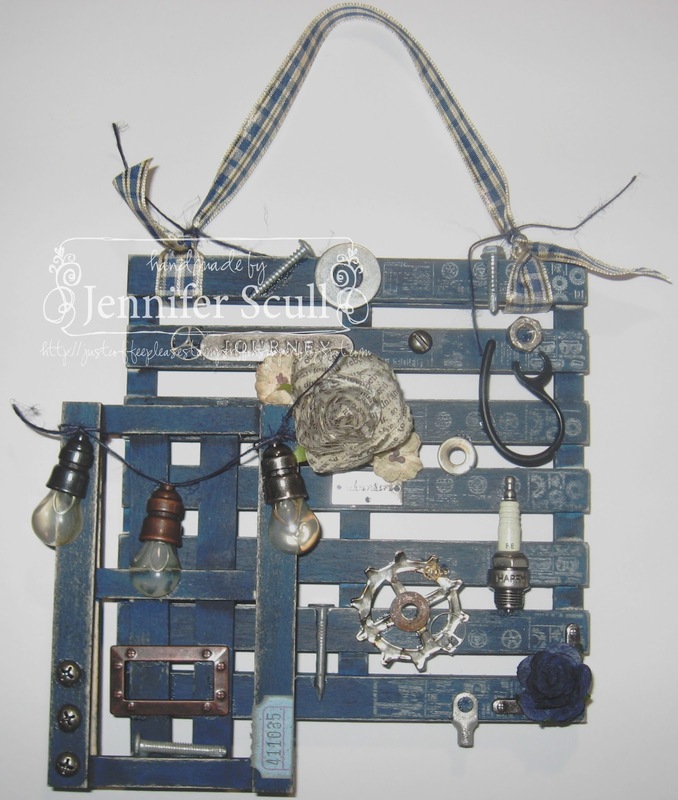 This one is called the Honeycomb Middy Biddy Bag (kraft color). And here's some great news for Christmas time.....they're all on clearance, so this is a great time to stock up on some Decorative Bags. Once I folded up my bag to create a pocket and covered it with some patterned paper by machine stitching it, I was ready to decorate my pocket. 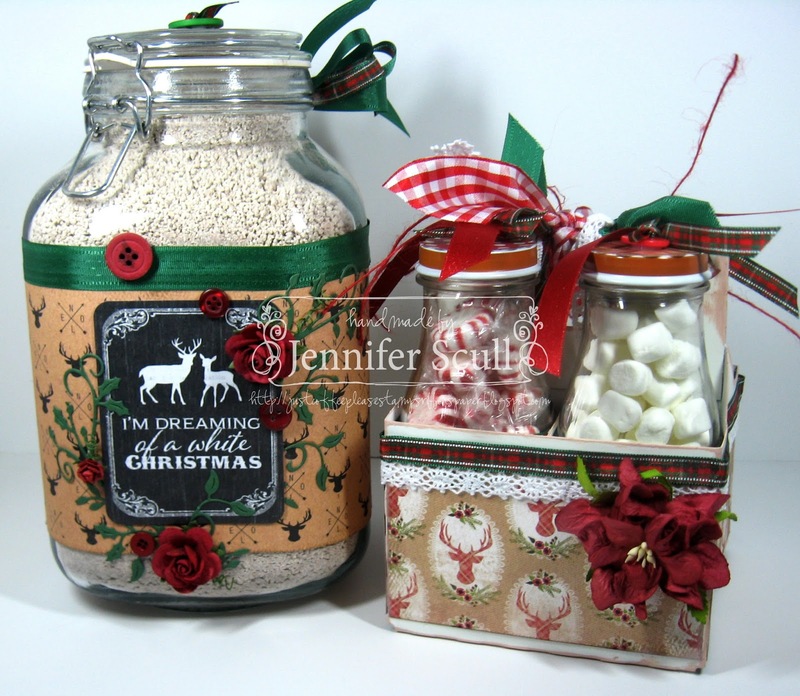 I used lots of great products from Really Reasonable Ribbon. There are so many great products at Really Reasonable Ribbon, and not just ribbons. They carry flowers, leaves, hair accessories, and SO much more. Take time to stop by and do some Christmas shopping today. I also created three tags to tuck inside the pocket. The pocket itself, as well as each of the three tags is embellished with Bay Leaf Seam Binding, Melon Seam Binding, Silver Metallic Baker's Twine, Deep Solid Pink Baker's Twine, Silver Metallic String, and Blueberry Baker's Twine. I also added a length of Ivory Pom Pom Trim across the pocket. Really Reasonable Ribbon has so many great trims for every project. 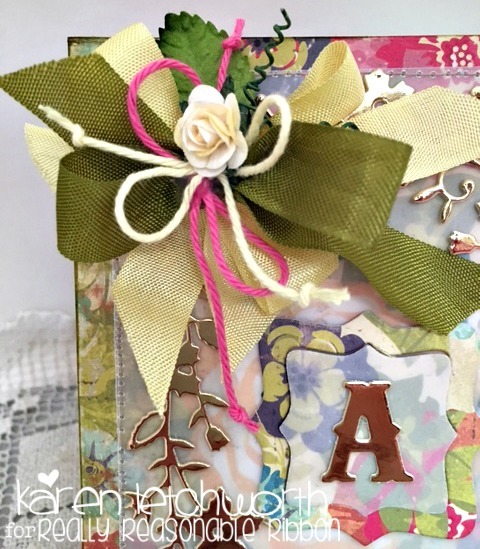 Hi, I am Nancy and I want to share with you this card showcasing gorgeous ribbon along with the beautiful Wild Orchid Crafts flowers from Really Reasonable Ribbon. This card is for my daughter for her birthday at the end of this month. This ribbon is called Sheer Organza with Satin Center White and it comes in a variety of colors. I use it often especially when achieving more of an elegant look for my cards. I love flowers on cards that I make. These flowers are the gorgeous pink aster daisy stem with pink roses from Really Reasonable Ribbon. I recommend to take a look at all of the varieties of Wild Orchid Crafts flowers from Really Reasonable Ribbon. You'll definitely want to order some for your next cards if you don't have these in stock. Dies that were used are: Cherry Lynn Exotic Butterfly Set, Creative Expression-Sue Wilson-Striplet-Heart Lattice, Tattered Lace Interlocking Heart/Celebration Set, Sue Wilson-Happy Birthday Script, Sue Wilson Delicate Fronds, Sue Wilson Pinpoint Embossing Folder. Keep visiting the Really Reasonable Ribbon blog to continue to see the wonderful projects and cards that Really Reasonable Ribbon Designers have for you during the holidays and stay with us for the next exciting challenge on January 8th. Can't wait to see what you created for us! The RRR Challenge is on break for the holidays. I hope to see you back when we resume on January 8th. From all of us to all of you - Have a wonderful holiday season! 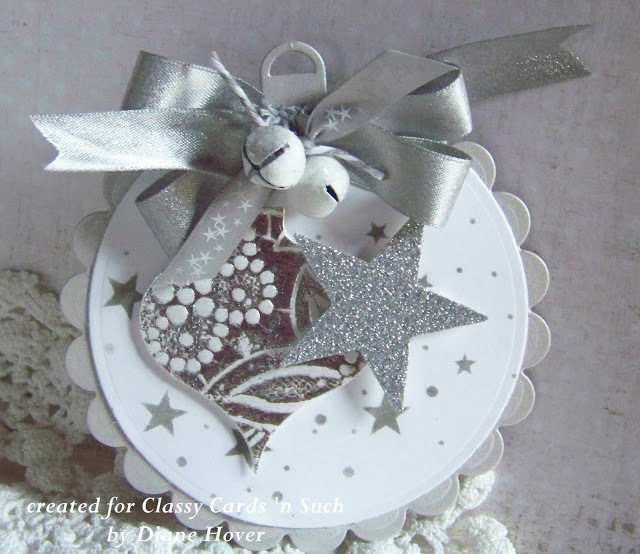 Challenge #131 was lots of fun with our Shimmer and Sparkle theme. Thanks again to everyone who played along with us on our Shimmer and Sparkle themed Challenge. I want to wish everyone a Merry Christmas and Happy New Year. We'll see you again in January with new challenges! Thank you so much for hopping along with us this month on our Really Reasonable Ribbon Monthly Blog Hop. We had so much fun and we hope you did too!! We'll be hopping on the 13th of each month, so be sure to mark your calendars and join us again next month. Now, on to our winner who will receive the December Ribbon Club Assortment from Really Reasonable Ribbon. Hello Ribbon Fans! This will be my last post with all of you before the holidays, so I would like to take a moment to say Merry Christmas to each of you! May you be blessed in abundance with love as we celebrate the birth of our Saviour! 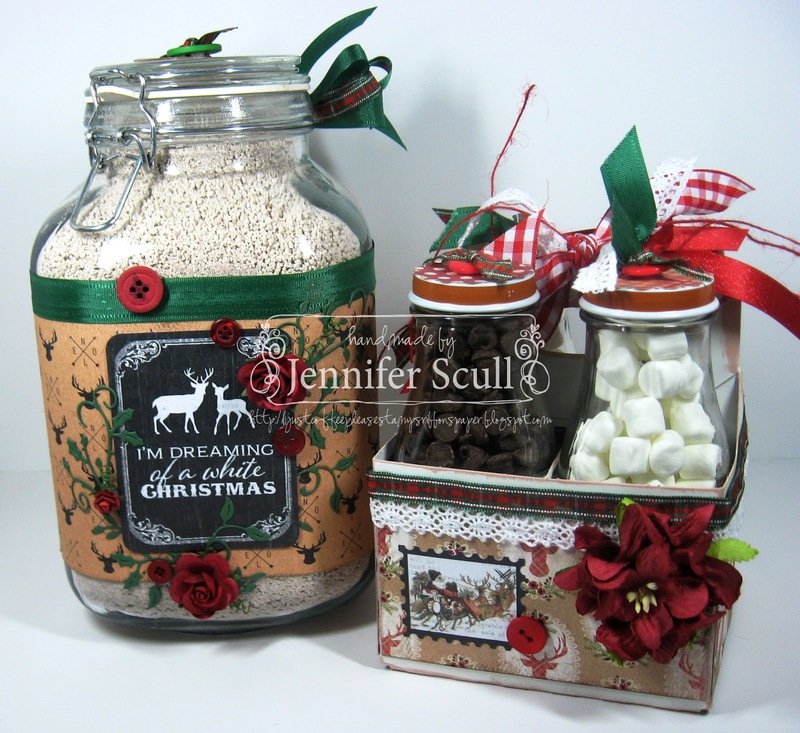 Ribbons, flowers, and paper also decorate the large canister that holds the hot cocoa mix itself. Thank you for stopping by! Merry Christmas to you and those you hold dear! Hello, Ribbon Lovers! Think fast: what do you love about the holidays? Like you, I cherish the time spent with family and friends. And I love holiday baking! But one thing really makes Christmas stand out to me, and that is the abundance of beauty that fills our world at this time of year. It seems like every where you look, there is something wondrous to catch your eye and capture your attention. It's just so....elegant! And with that in mind, I created this elegant vintage Christmas card to share with you here today. What could possibly be more elegant than Champagne Silky Crush Ribbon? I love the soft shimmer and subtle texture it adds to a project like this. When ribbon is this elegant, you really don't need much else, so I simply topped it with three itty bitty red jingle bells. This elegant vintage Christmas card is created with Polly's Paper Studio "Let it Snow" Creativity Kit. Here's wishing you a good old fashioned elegant Christmas! Thanks for stopping by!